A stay at Forenom Aparthotel Lahti places you in the heart of Lahti, within a 5-minute walk of Lahti Historical Museum and Ristinkirkko. This apartment is 0.3 mi (0.6 km) from Lahti Art Museum and 0.6 mi (0.9 km) from Isku Areena. Featured amenities include a computer station, luggage storage, and an elevator (lift). Self parking (subject to charges) is available onsite. 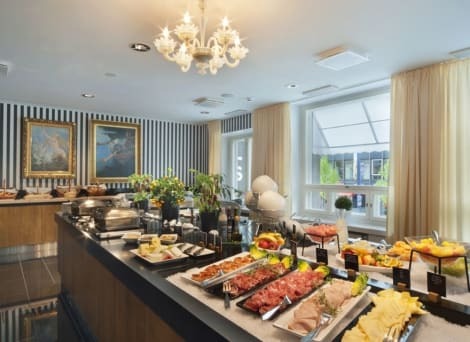 With a stay at Solo Sokos Hotel Lahden Seurahuone, you'll be centrally located in Lahti, just a 3-minute walk from Lahti Art Museum and 6 minutes by foot from Ristinkirkko. This 4-star hotel is 0.5 mi (0.8 km) from Lahti Historical Museum and 0.7 mi (1.1 km) from Vesiurut. lastminute.com has a fantastic range of hotels in Lahti, with everything from cheap hotels to luxurious five star accommodation available. We like to live up to our last minute name so remember you can book any one of our excellent Lahti hotels up until midnight and stay the same night.